Additional Chief Secretary Finance Tuhin Kanta Pandey apprised that Government treasuries would remain open on Saturday and Sunday for disaster-related transactions. BHUBANESWAR: After constitution of a three-member Ministerial Committee by Chief Minister Naveen Patnaik for monitoring relief and restoration operations in the cyclone and flood affected southern districts, Chief Secretary Aditya Prasad Padhi directed Secretaries of all departments to focus on expeditious mitigation of people’s suffering. Chairing a meeting of all Secretaries, the Chief Secretary directed them to speed up relief operations and take urgent measures for restoration of drinking water and power supply in the affected areas. Departments concerned were asked to ensure health and sanitation measures in the affected areas till normalcy was restored. He further directed them to start rehabilitation operations simultaneously with relief and restoration works. Additional Chief Secretary Finance Tuhin Kanta Pandey apprised that Government treasuries would remain open on Saturday and Sunday for disaster-related transactions. The flood situation in Aska and Purusottampur areas of Ganjam district figured prominently in the meeting. 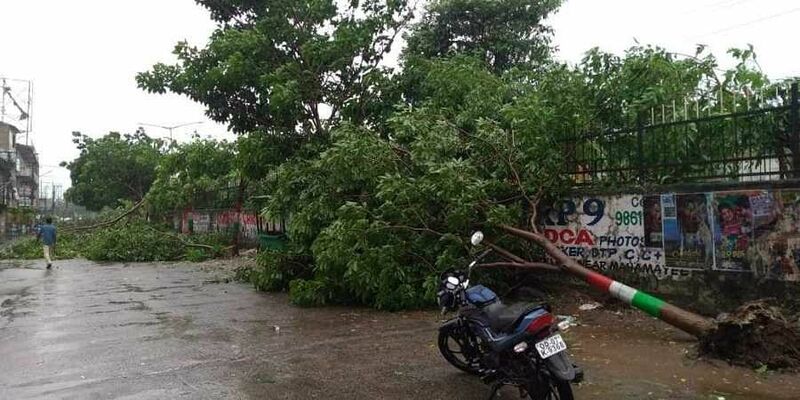 Special Relief Commissioner Bishnupada Sethi said as per first-hand reports, around 503 gram panchayats and 3250 villages in 22 blocks and 18 ULBs of various districts have been affected by the cyclonic storm followed by heavy rainfall. Around 125 GPs and 367 villages in Ganjam district have been very seriously affected. Heavy damage to standing crops, houses and public infrastructure have been reported from many districts. As of now, 14 NDRF and 12 ODRF teams have been deployed in the affected areas for rescue and relief operation, he added. Health and Family Welfare Secretary Pramod Kumar Meherda informed that emergency medicines have been stored in affected areas and mobile health camps are being organised in those places. Principal Secretary, Women and Child Development Department, Anu Garg reported about the measures taken for safety and care of expecting and nursing mothers.